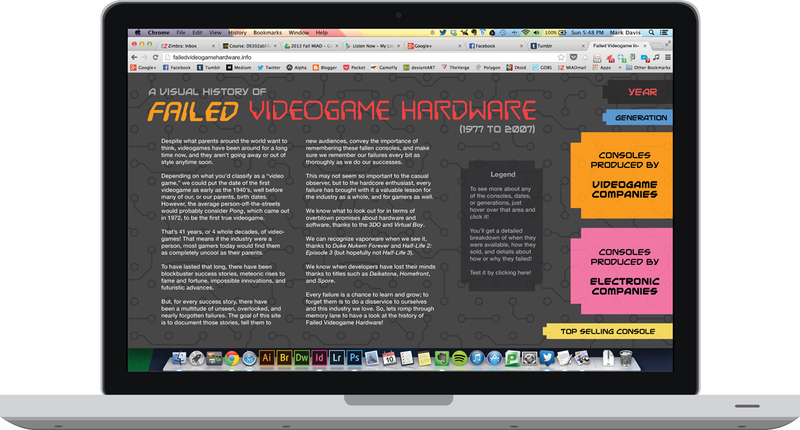 A project for an Information Graphics class on a "Timeline" design. I chose the subject of Failed Videogame Hardware because it's not just an interest of mine, but because there really isn't any good visualization or chart/timeline of it on the web right now. It's conceived as a side-scrolling microsite which would pop-up info in a lightbox when you click on any of the information. 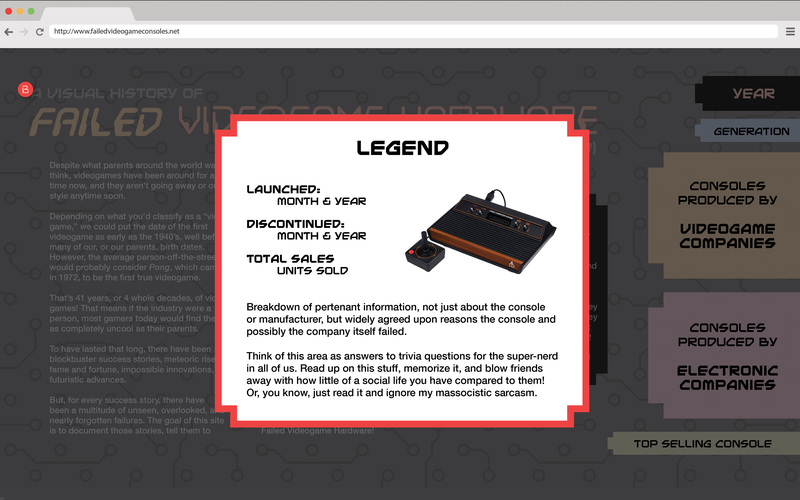 Imagery for the consoles was pulled from the Vanamo Online Game Museum by Evan-Amos. Everything else is created by me. A live-version of the site is a WIP at the moment, but needs more time and redesign thought than I can give it because of classwork at the moment.